Liczba stron: 684 Jest to ujednolicona liczba stron, która ułatwi Ci porównanie długości książek. Każda strona Legimi to 200 słów. 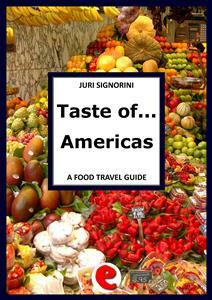 The purpose of this guide is to complement and enhance your travel, with a gastronomic experience. With over 6000+ entries organized alphabetically, covering the cuisine of the North American states and Canada, Central, South American and Caribbean countries, it is designed for an easy and immediate reference, before and during the journey. It aims to give you tips, support and encourge you to choose and try new dishes, but will also help you to decipher often incomprehensible menus.